Deemed as a top health food across the globe, Honey is a wonderful creation. Honey is among the most popular and widely used sweetener with enormous health benefits. It is used by several cultures around the world serving as a base for many traditional medicines. The health benefits and advantages of honey have been valued since ages. Do you know how beneficial honey for hair can be? 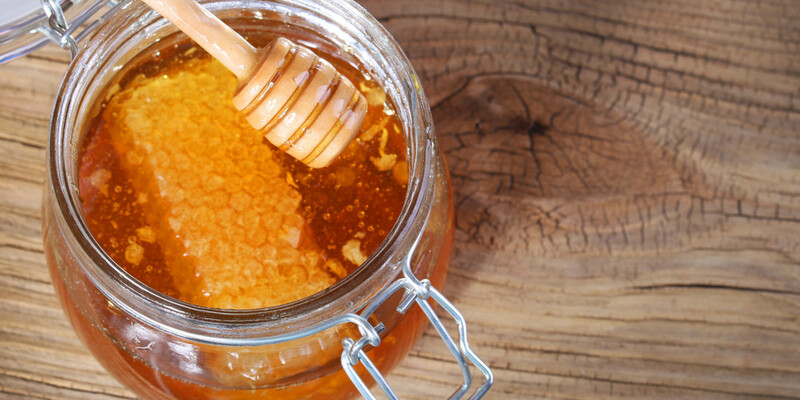 Honey is one of the best natural home remedies for dandruff. It not only provides nourishment to dry hair but it also gives you smooth and soft hair. You can also use honey and lavender with green tea to prevent hair fall. All you need to do is mix 2 tablespoons of Honey with equal amount of vegetable oil and apply it on your hair. Keep this hair mask on for 15 minutes, and then rinse it off before you shampoo. Having trouble falling asleep? You should try drinking this beverage made of warm milk and honey just before you sleep. For centuries, people have used this drink to help them sleep. This beverage is fairly easy to make. All you need to do is add a teaspoon of Honey into a glass of hot milk, or add 1 or 2 teaspoons of Honey to a cup of chamomile tea and sip to induce sleep. Honey’s anti-bacterial and infection healing properties help in treating and healing wounds. Teeth and gum diseases like gingivitis, bleeding and plaque can be treated to a great extent with the regular use of honey.Honey is known to release antiseptic hydrogen peroxide which acts as anti-microbial agent that prevents the growth of bacteria. Experts’ advice the use of raw honey mixed with water to be used as mouthwash. Also rubbing honey directly on affected gums gives instant relief from pain and inflammation and other periodontal diseases.